So last weekend we fired the first shots in 2012’s Jubilympic branding exercise for Great Britain. Yes, the Diamond Jubilee weekend was supposed to be all about celebrating HMQ’s 60 year reign, but there was inevitably a big-up for Team GB, Brand Britain and UK PLC in there too. I think the Visit Britain campaign proposition was something like ‘Come visit us! We have heritage and culture and a Queen. And we’re FUN too!’ The Jubilee Flotilla obviously didn’t go quite as planned due to inclement weather, unfortunately reminding potential tourists that our Summer can be cold and wet – check out Jon Stewart’s covering-of-CNNs-coverage (which will only work if you’re in the USA I’m afraid). 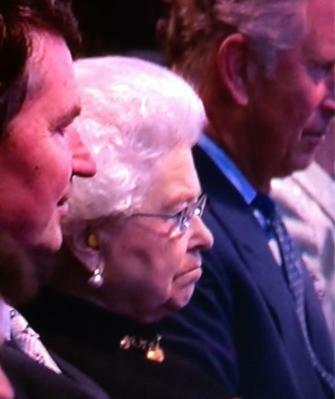 It was at least dry for the Concert, although The Queen a) probably doesn’t like pop music and b) was probably worrying about Prince Phillip in hospital so didn’t look like she was enjoying herself much, earplugs and all. The weekend also included a Service of Thanksgiving on Tuesday, Beacon Lighting and Jubilee Street Parties and other events (all mostly rather cold and damp). 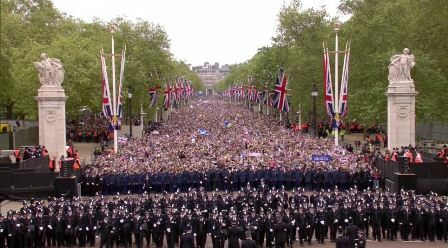 And for a final hurrah, we showed just how good Britain is at flag waving and being-well-behaved-in-a-crowd when an estimated 1.5M of us crammed in front of Buckingham Palace and filled The Mall for a final balcony appearance from the Queen and a military fly past. 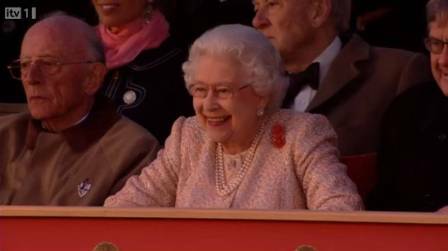 But the event where the Queen looked like she was enjoying herself most actually took place three weeks ago at the Diamond Jubilee Pageant at the Royal Windsor Horse Show (but screened on ITV last weekend). A friend-of-a-friend was riding in the Pageant and reported that HMQ “looked so happy with her horses”. 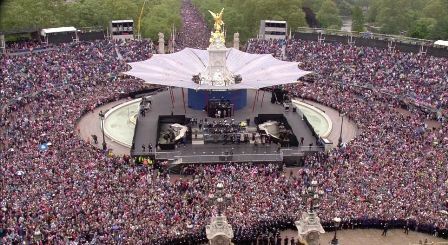 As well as celebrating the Jubilee, I suppose it comes down to who the events were supposed to be entertaining – The Queen, the Great British Nation, or Potential Tourists and Overseas Partners? The Windsor Pageant clearly achieved the former, while the concert and river pageant at least seemed to have set out to do both, even if play was rained off a bit. Let’s just hope it stays dry for the Olympics, or no-one will fly into Heathrow without a brolly ever again. Next Post has Planning got too pretentious? Video blocked by Viacom, idiots… how dare we promote their show!